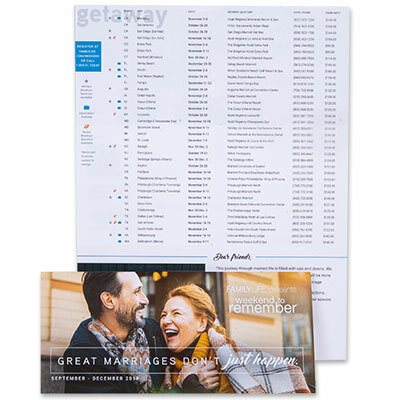 Share about the Weekend to Remember with this colorful tri-fold brochure. It includes the list of events, the dates & location, and hotel information. You can pass this out to friends & family or leave a stack with local businesses in your community. It also fits in a standard size envelope so you can mail it.